Katie asked me to post a guest blog about vaccines. I’m going to do just that after a bit of a preamble. So if you’re looking for the punch-line: vaccines DO NOT cause autism, you should always get them for you and your children, baring some extreme circumstances. I must start with a few disclaimers, one which has already been put at the top of this post. I am not a physician and any medical advice I give you is based on my scientific (not medical) knowledge. Furthermore, I am not a mother. I think this is an important disclaimer because my conclusions are based completely on science and not those overwhelming anxious feelings a mother instinctually has for her child. So I apologize in advance if I come across as clinical. Enough of what I’m not! I am a Ph.D. candidate in molecular microbiology, which means that I know a lot about one thing and that one thing is microbes. Broadly speaking, microbes fall into two categories. Those that live in and on us are called commensals and do awesome things like protect us from other microbes, shape our immune system and help digest our food. The other group accidentally find themselves on or in us, infect us and make us sick. We call these pathogens or infectious diseases or a more kid friendly term, GERMS. You know the drill, one day you wake up with your head feeling 3 times its normal size, unable to breathe through your nose and have to carry a box of tissues with you to work, all the while grumbling that someone needs to cure the common cold! (We’re working on it, I promise). But now imagine instead of waking up with a cold, you wake up with paralyzing polio, or scarring chicken pox, or potentially fatal meningitis. For millennials this idea is preposterous! No one gets polio. Kids these days don’t even know what chicken pox is like. This is because science & medicine have developed vaccines for many of the debilitating infectious diseases that our ancestors had to endure. Many infectious diseases affect children more profoundly because their immune systems are not completely developed. This is the reason babies and children require so many vaccines. Vaccines are a way to boost your immune system to a germ before you are actually infected with that germ. In short, your immune system is tricked into thinking you’ve been infected, it mounts a response and is at the ready when you truly are infected. 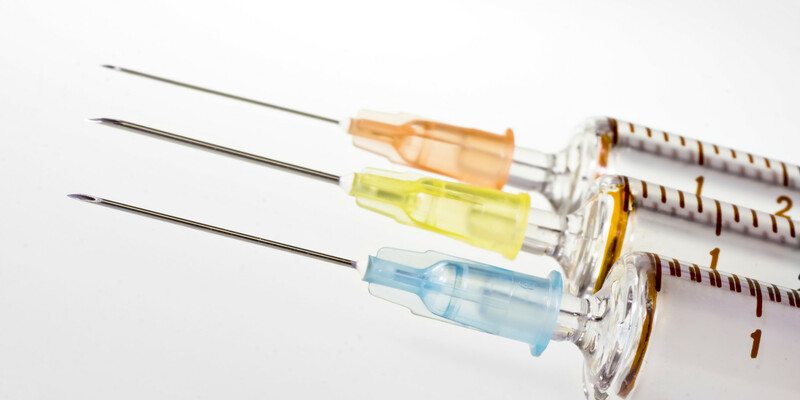 Most of the time vaccines contain parts of the virus or the bacterium that would normally cause the disease. Sometimes the vaccine is made of the whole virus or bacterium that has been attenuated (it can no longer make you sick). A good example is the vaccine against influenza. You can get an injection which is comprised of either lab-made pieces of the virus or killed virus. It is not possible for this to make you sick. If you’re needle adverse, you can get a nasal spray vaccine. This is a living virus but is “cold-adapated” which means it can live for a short time in your nose but cannot spread to your lungs where a flu infection normally occurs. So you may get a runny nose or headache, but it’s way better than the flu! Vaccines are safe. Vaccines, antibiotics, any prescription drug you put into your body, have been tested through multiple levels of clinical trials that can take upwards of seven years and must meet FDA standards. Vaccines DO NOT lead to autism. The scientific article that published such nonsense has since been retracted. There are instances where a patient reacts to a component of the vaccine, usually in an allergic reaction. (For example the flu vaccine is made in chicken eggs so people allergic to eggs cannot receive it). In this case, it is unwise to continue receiving a vaccine that you/your child are/is allergic to. In this case, you should discuss alternatives with your physician/pediatrician. Many of the vaccines that your children are getting have been used for generations. That’s right, you got those vaccines. All of them. I imagine it’s extremely difficult to watch your baby get injected multiple times but it’s going to protect him/her more than you can imagine. Some vaccines weren’t even available when I was a baby, like for chicken pox and haemophilus influenza. 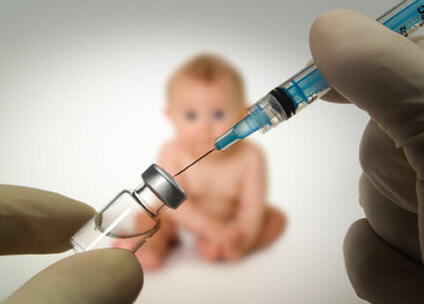 Furthermore, most of the vaccines available to your child are not currently available in developing countries where it is estimated that 1.5 million children under the age of 5 die from vaccine-preventable diseases each year1. They’re called preventable diseases because we have the vaccines for them, but not the money and means to distribute them worldwide. Imagine if you chose not to vaccinate your child against measles, and he got it. You’d have to watch him suffer a potentially fatal disease all the while knowing IT WAS PREVENTABLE. Now imagine that choice were taken away from you because of your geographic, or socioeconomic placement. If you think about it from this point of view, vaccines are a privilege that we take for granted. There’s a lot of focus on children receiving vaccines but as a parent it’s important to remember that you must also stay healthy to have a healthy child. To end, I’ve included a list of vaccines that you, as a parent should consider2. Influenza: Every year. Do it. Pregnant women included (talk to your OB/GYN if you are unsure). TDAP: This vaccine prevents diphtheria, tetanus and pertussis. Pertussis is what causes whooping cough and can be carried without symptoms by adults. This vaccine should be boosted every 10 years. HPV: It may be a little late for much of this audience, but ladies I strongly recommend this vaccine course to prevent infection with a virus that sometimes causes cervical cancer. It’s usually given to adolescents but is recommended for anyone as old as 26. Shingles/Pneumonia: Grandparents should consider these two vaccines. They need to be healthy to spoil your kids!